In Magic: The Gathering, Commander format (also called EDH) attracts many players with its unique and varied premise. 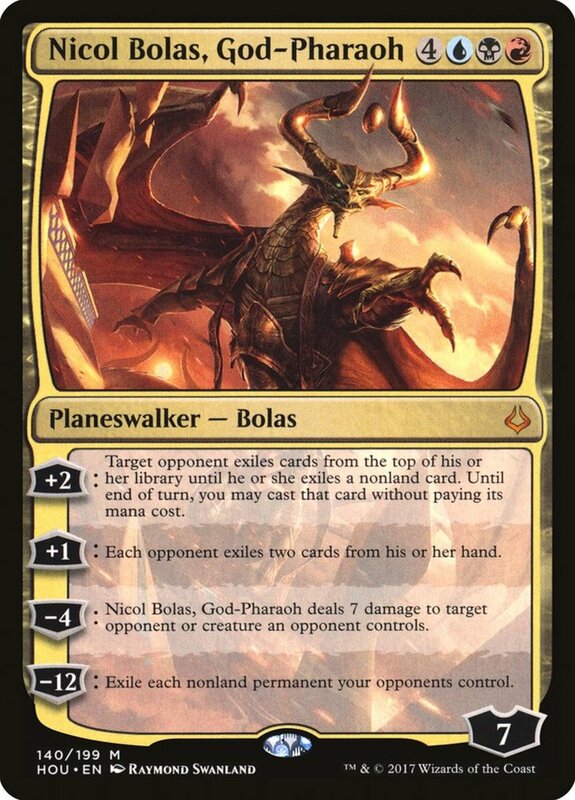 When playing it, players pick one legendary creature (some Planeswalkers work as well) to serve as their Commander, a card available throughout your match. Additionally, decks consists of a whopping 100 cards, with only one copy of each spell (besides basic lands) allowed per deck, and players can only harness the colors of their Commander in their deck. While I appreciate the work of game makers Wizards of the Coast, they don't actually regulate ban list for Commander, meaning that occasionally a broken card slips through their censorship. 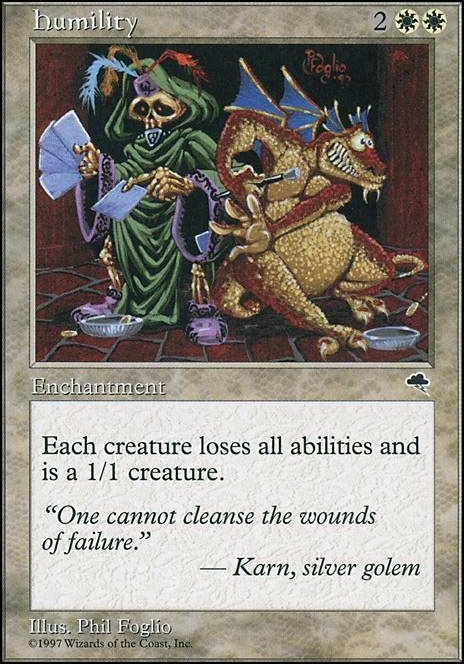 To see what I mean, read on to discover six overpowered cards that are (as of this writing) actually legal! Warning: Usage may cause swift victory and loss of friends. No surprises here. This card accepts a single mana of any color to produce two colorless. 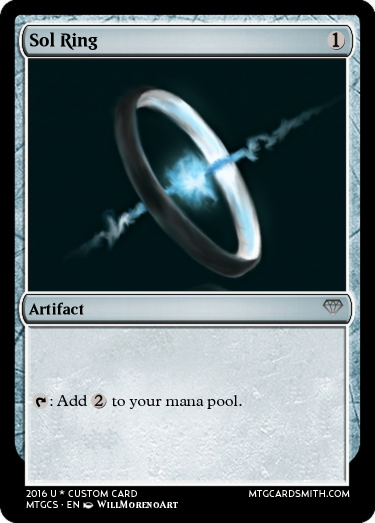 Simple, sure, but this provides a massive mana advantage for whoever happens to be lucky enough to draw the Ring first. Just about every Commander deck is gonna want to run of these; play a land on your first turn, tap for Sol Ring, and on merely your second turn you'll have at least four mana available to you (assuming you play another land), and more if you employ artifacts like Mana Vault. How To Make It Fair: Reduce the mana gain to one colorless. Even then, it's pretty darn powerful, but much more balanced. Another card, Mana Crypt, works similarly (it doesn't even cost any mana), and should also probably be outlawed, but at least it flips a coin to potentially deal damage to its wielder each turn. 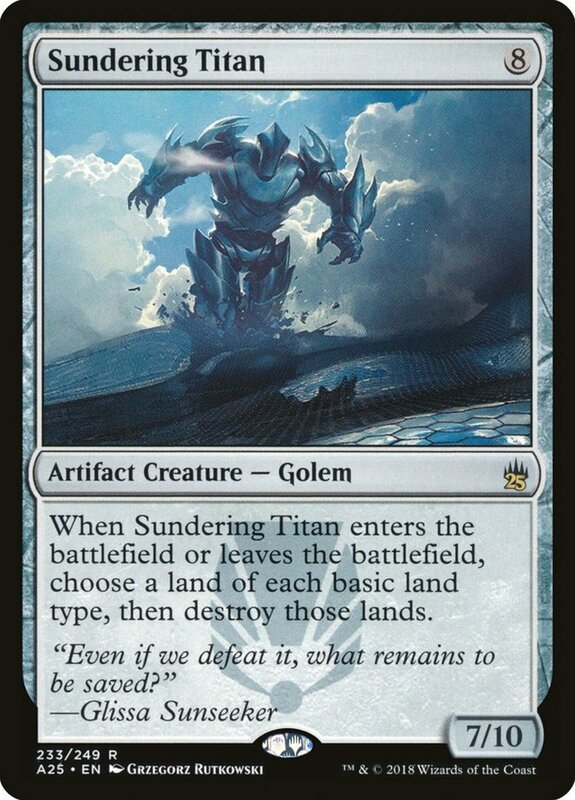 Like Sol Ring, Land Tax demands just a single mana, though this time it's white, so only Plains-users need inquire. Its effect: at each of your upkeeps, if your opponent has more land than you, you can search your deck for up to three basic lands and put them in your hand. And Land Tax isn't even sacrificed! It'll keep performing the check and potentially adding land each turn. 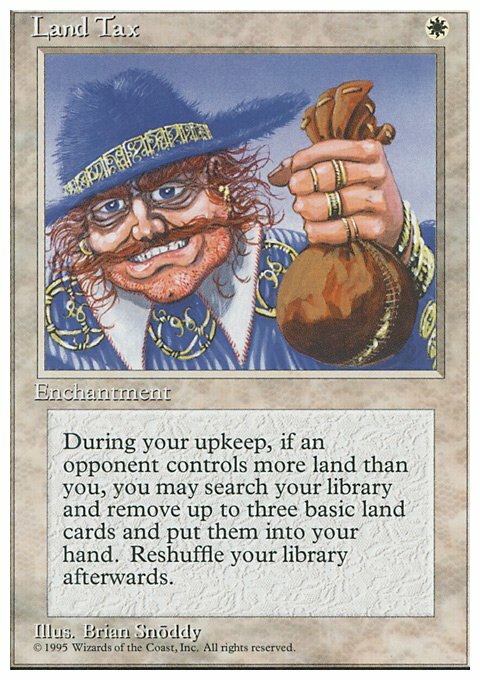 Three cards to hand for one mana is just too much, especially since Land Tax is reusable. 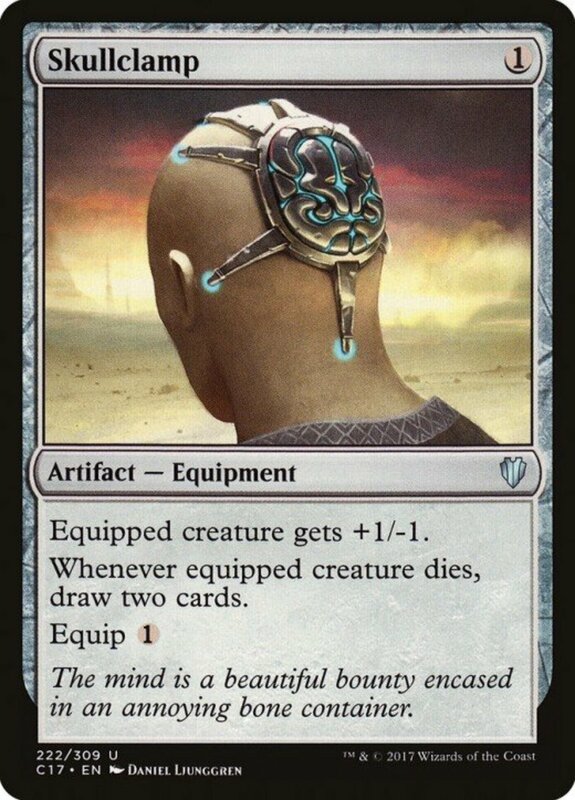 Wily players with this card can go purposefully take second turn, letting their opponent get ahead in land, then brutally punish them with this. How To Make It Fair: Change the effect to two lands, or sacrifice Tax once the effect activates. Sadly, as is, this is gonna seriously peeve anyone you unleash it upon. Mana Drain has several things going for it. Like most counters, it's an Instant, so it can be played at any time on any turn. 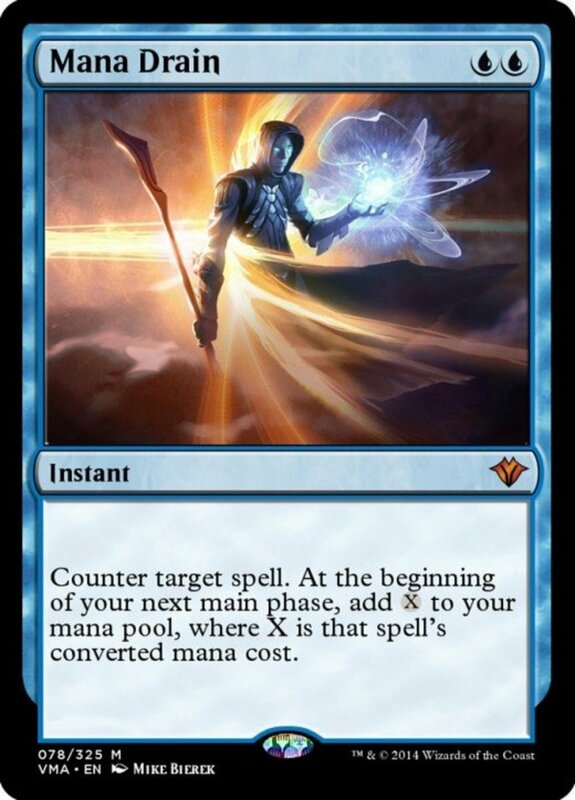 Second, for just two blue mana (sorry, can't use Sol Ring for this) you get to counter any spell, no matter how powerful. And then, at your next main phase you gain colorless mana equal to the total mana cost of the spell you negated! That's just insane. When your foe plays Mana Drain early on, you're back a spell and they're playing incredibly costly cards way before they have the land to do so thanks to its mana-producing effect. Few cards are as likely to induce a rage-quit as this one. How To Make It Fair Check out Counterspell, which also counters any spell for two blue mana (still a great bargain), but doesn't add any mana to your pool. Step 1: Build deck with no creatures (except for your Commander). 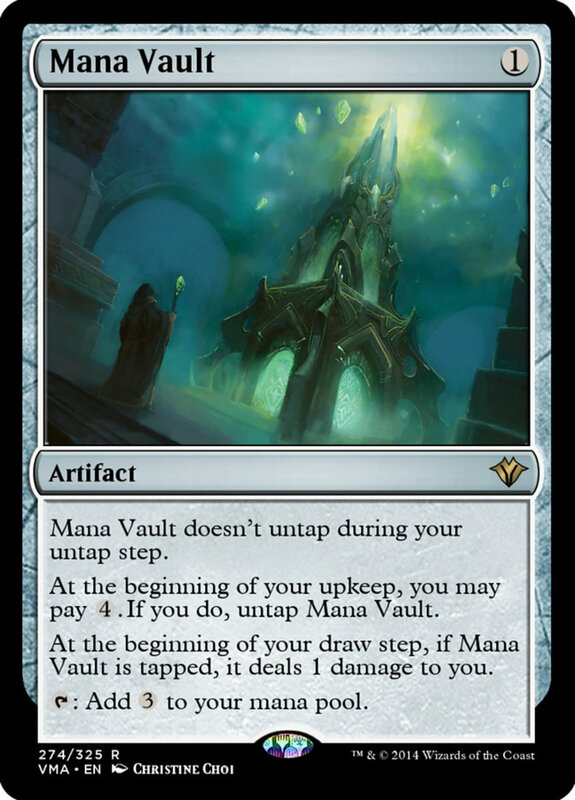 This gives plenty of space for lands, enchantments, artifacts, etc. Put in tutors to help search for cards. If you're using blue, a few countering spells will help ensure Humility lasts. Step 2: Over a few turns, gather four mana and Humility by using tutors to search. Step 3: Profit. All creatures become nigh-useless, but that won't impact you. Bombard the opposing player with your array of non-creature spells. How To Make It Fair: Increase the mana cost or make the effect only last a few turns. Still not convinced a no-creature deck is overpowered? Try combining Humility with this card, one that has no mana cost as it's a land. Tabernacle's effect: each creature forces its controller to pay one mana during their upkeep. If they can't or don't, the creature is destroyed. 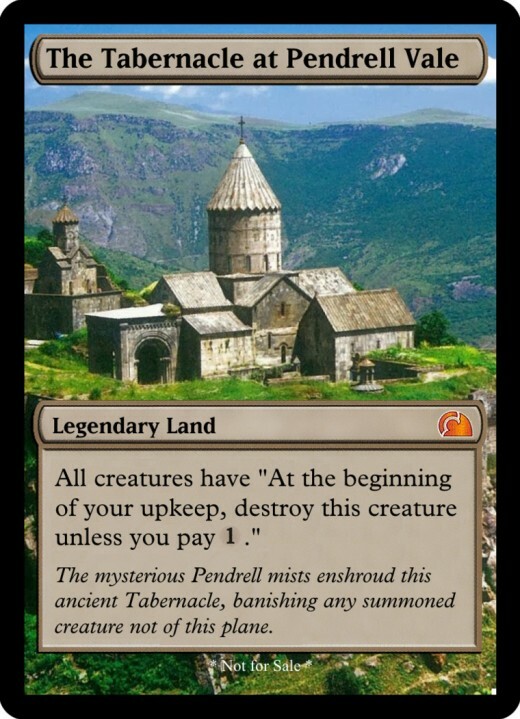 So, for no cost (meaning it can come out at the very beginning), Tabernacle forces your opponent to either destroy their creatures, or waste all their mana just keeping them out. That's simply way too strong, and there are few games less fun than ones where your creatures can't even be used. At least Humility costs a little mana, and can be destroyed by enchantment removals. Land removals are much rarer, and more expensive, so there's really not much most players can do against Tabernacle, especially if you're countering their cards in the meantime. How To Make It Fair: Turn it into an enchantment with a mana cost of 4 or 5. Even then, it'd still be formidable. 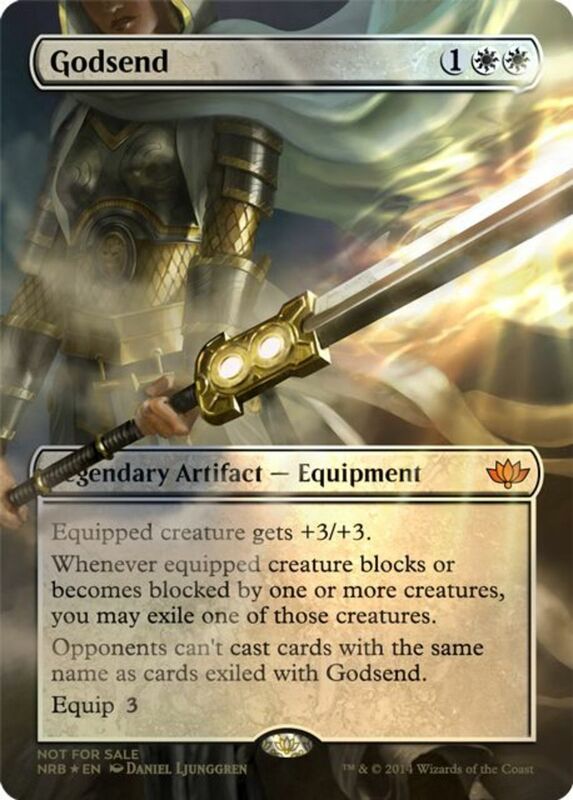 Just like Land Tax, the Ascendant joins the fray for a single pop of white mana. She's a 1/1 with Lifelink, meaning she'll restore her controller life whenever she inflicts damage. So what makes her unusable in Commander? She becomes a 6/6 with Lifelink and Flying if you have 30 or more life. In standard Magic games, players begin with 20, so Serra's effect is a great (and fair) reward for life-gaining assortments. 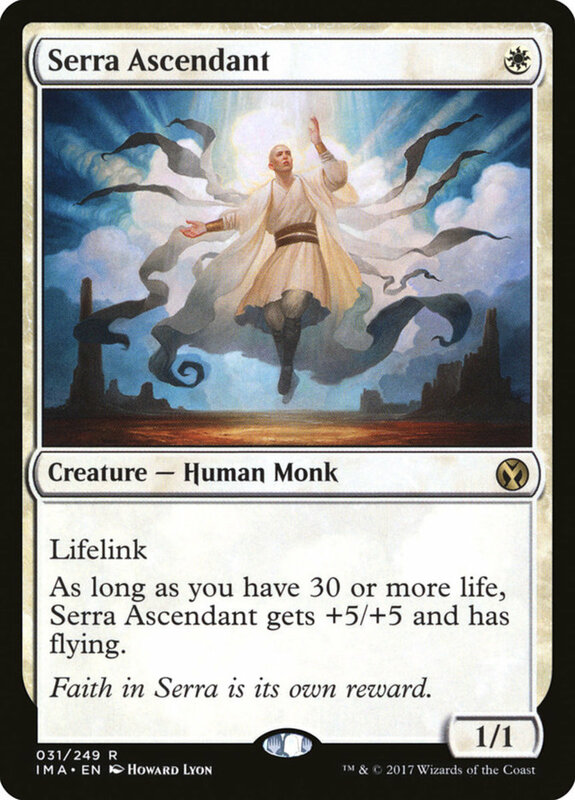 In Commander, players begin with 40, so Serra immediately becomes a ridiculous 6/6 with absolutely no effort required. By turn two, she'll be swinging for 6, restoring life when she collides, and she's in the air, so even if your opponent somehow scraps together a defender, if it doesn't have Flying or Reach, it can't block her. Even then, odds are good its toughness wouldn't survive 6 power so early on. Plus, in the meantime, you'll be harassing your opponent with other spells while they frantically scramble just to survive against a turn one, one-mana creature. Truly a formidable, overpowered card. 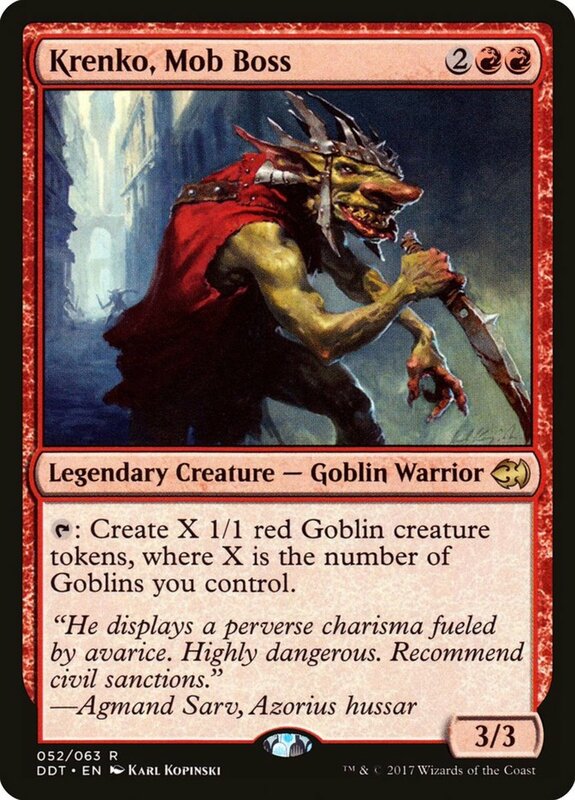 How To Make It Fair: Either ban it (this card was not meant for Commander), or give it an effect that requires your life to be 50 or more for its abilities when playing EDH. Which card would you prefer to be banned? Ironically, though several of today's cards are white, I consider mono-white to be a fairly weak choice in Commander. But when combined with other colors, these astonishingly legal options will guide players to a swift and cheap victory. Still, Commander is an awesome way to experience Magic, and don't let a few juiced up cards keep you away if you're interested; you and your friends can always alter the ban lists in your casual matches. But for now, vote for your most-despised spell, and I'll see you at our next card countdown! Should Felidar Sovereign be banned in MTG Commander? 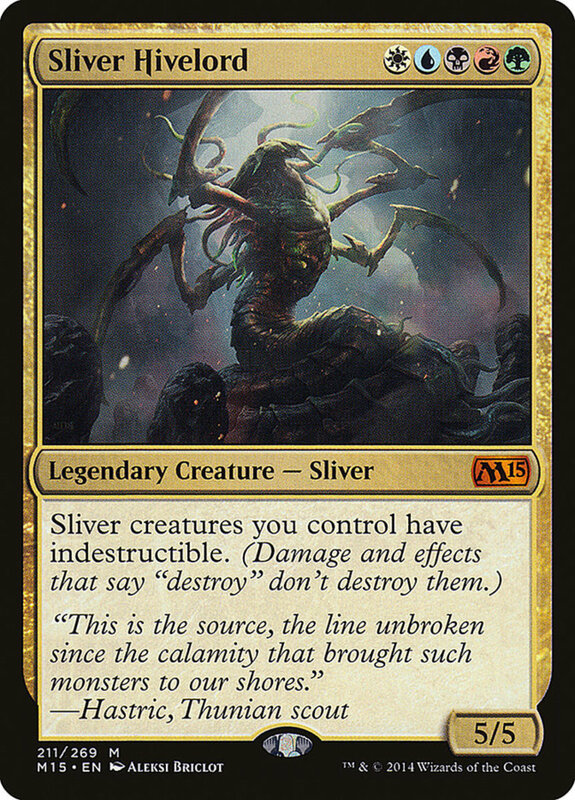 Definitely; Sovereign's instant win of having 40 or more life at your upkeep really wasn't intended for EDH (and its lifelink can help recover if you fall below the threshold). That said, at least Sovereign needs six mana to cost, hopefully giving enough time to prevent the cheap win. Why no Sensei's Divining Top on the list? A good suggestion, but I'd rather face Top than most if not all of these. Also, since it's colorless, at least I could fight fire with fire no matter which deck I ran. To be honest cyclonic rift is more back breaking than the cards listed here (besides sol ring). It says before I start my turn everyone start over and the ending player's turn discard to hand size (assuming no reliquary tower). With all the rocks and ramp available if someone is mana skewed it pretty much says you lose the game. I would like to see mana vault and mana crypt banned. Maybe linvala too. Agreed--in fact, Cyclonic Rift, made the follow-up countdown. Check it out for more cards that should be banned! Easily. Serra can hit the field on turn one without any gimmicks; Ad Nauseam takes time to build to with a CMC of 5 and has the drawback of losing life the more you abuse it. Also, black recently lost their Demonic Tutor search in competitive play, so it's harder to hunt out Ad. Not that it isn't formidable; Serra's just way easier to play and doesn't require gimmicks to cast early on. Are you really saying that Serra Ascendant is more powerful than Ad Nauseam?